Founded in 1995, MPM Consumer Products is a specialised contract liquid fill manufacturer of household and personal care products based in Manchester, England. The company is a huge supporter of British manufacturing and believe ‘Made in England’ means miles less carbon and reinforces the pride many have of the pure industrial strength of the British manufacturing sector across the country. Producing some of the UK’s leading household brands, MPM offer their own products which can be recognised in the UK high street and can also produce customers own labelled products under their own livery from concept through to manufacturing. Aganto is a huge champion of the manufacturing sector and works with many industrial organisations that are experiencing huge growth, expansion and success. MPM Consumer Products are such an organisation, but came to Aganto in more serious circumstances. A fire destroyed a permanent warehouse housing 600 pallets of product and machinery which resulted in MPM having to rent additional warehousing space off site and at a high cost. 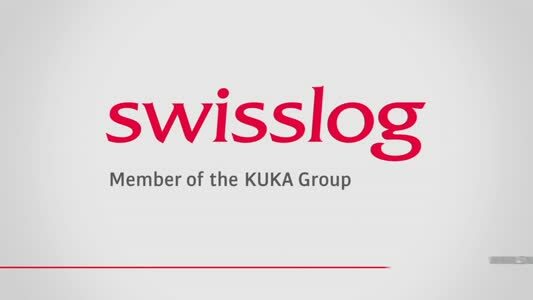 Material movements within the warehouse and material shunts between the factory and external warehouse also became a huge inconvenience in terms of time and cost. 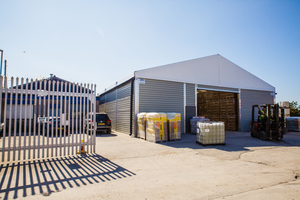 Temporary building specialists Aganto have become a contingency plan for many businesses having the unfortunate event of fire or weather damage to their buildings. 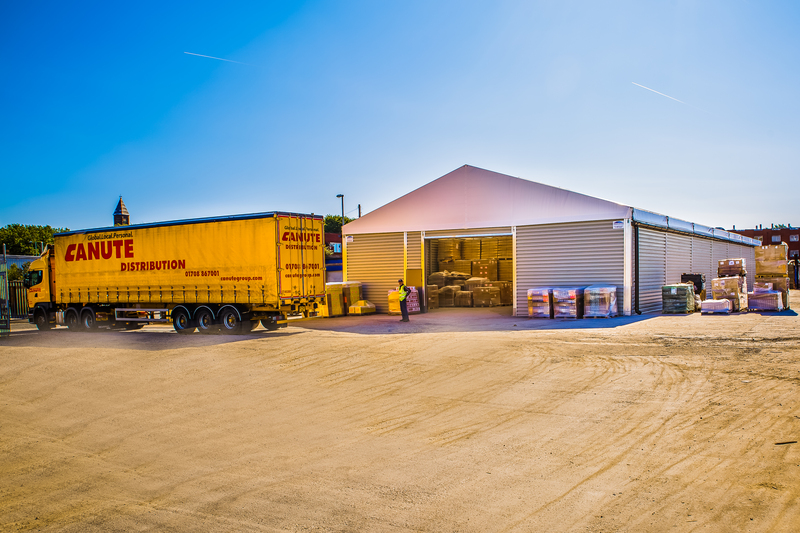 With Aganto temporary buildings being installed in just days, minimising further expenditure, they are the perfect solution to get the space needed-and fast. Aganto provided the 15 x 35 x 4.2m, non-insulated clear span building which included two manual roller doors, a pedestrian door and a single skin PVC roof. So pleased are MPM that they are having a second temporary building onsite. And so will the second building...Made by Aganto, especially for MPM.